Headlines around the world have been dominated by the humanitarian crisis provoked by the sheer numbers of refugees fleeing war and conflict in Syria, Iraq, Libya and Afghanistan. As governments and NGOs try to work together to manage the situation at every stage, rapid, accurate and reliable transcription services enable authorities to share information gathered, collect information about the situation on the ground, and deliver international aid as effectively as possible. Whether this is achieved by transcription of local investigations, through transcribed video or voice interviews, or by sharing transcribed minutes of meetings or conferences, accurate, reliable and secure transcription helps governments to make informed decisions that positively impact the lives of refugees. Reliable multilingual transcription is particularly valuable, as it enables government departments and NGOs to work in partnership internationally, allowing them to understand the experiences of refugees and aid workers. Transcribed materials such as videos and interview notes can be vital to effectively train staff to meet the emotional, cultural and material needs of refugees. 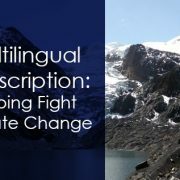 At the same time, these valuable resources help governments and NGOs to communicate the reality of the situation to a much wider audience, gaining greater public support. One example of the effective use of multilingual transcription services can be seen in UNICEF’s communications about its humanitarian efforts in northern Iraq, where more than 1.5 million people (including 600,000 children) have been trapped in Mosul by ISIL forces. In August 2016, UNICEF Ambassador and actor Ewan McGregor travelled to the region to experience how the conflict has devastated children’s lives. In press releases and video footage that use multilingual transcription services, McGregor was able to describe his experiences of the Debaga refugee camp in his own words, sharing the terrible stories of the displaced families in several languages, including English, Spanish, French, Arabic and Chinese. As well as conveying the vital importance of humanitarian aid provided by international governments through UNICEF, videos using transcribed translations make a direct emotional impact on their audience, raising awareness of the crisis through online and traditional media. As a result, greater numbers of individuals donate funds to UNICEF, and there may be wider support for further government aid to the region. Refugees who are granted asylum in Europe face huge challenges, including learning a new language and adjusting to a different culture. Organisations such as the British Refugee Council support these new arrivals, recruiting local volunteers to help them settle in and make a new life. Transcription can also be a powerful tool in this context, telling the stories of volunteers who have agreed to help support refugees as they settle in the UK. 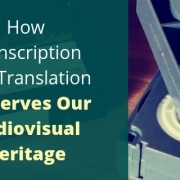 However, as can be seen in the video above, many automated transcription services struggle to accurately transcribe the spoken language of people who speak with a strong accent. 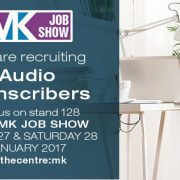 Ironically, while the video itself addresses the issue of communication training for those refugees who wish to work as doctors in the UK, the accompanying closed captions often transcribe the speakers’ words inaccurately, making them very difficult for non-English speakers and the hearing impaired to follow. Accurate transcription services can enable non-native English speakers to access the services that the Refugee Council provides, showing them how and why they should approach them for help. In February 2016 the UK, Germany, Kuwait, Norway, and the United Nations co-hosted a conference in London to raise new funding to meet the needs of those whose lives have been profoundly affected by the war in Syria. Key items on the agenda included increasing international aid, enabling school attendance, job creation, and the stabilisation of Syria when peace terms are agreed. 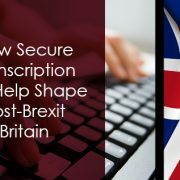 In each case, secure and accurate transcription of discussions and agreements were vital to ensuring clear and confidential communication during negotiations, especially concerning sensitive matters of national and international security. Secure multilingual transcription allows for frank discussions where possible, ensuring that any transcripts created and stored securely in English and Arabic can be produced in the future as a record to ensure international commitments are kept. In this case the Supporting Syria Conference raised donor pledges of $12bn, a huge increase from the $3.3bn raised by the UN from international governments in 2015.